Commercial construction focuses on many different project types and sizes, but successfully building your convenience store from the ground up requires specialized industry knowledge. We proudly offer our services here at Stovall Construction as the region's premier convenience store construction company. You want a c-store that stands out, pulls in business and drives sales, and we deliver with more than 40 years of commercial construction experience throughout Texas, Oklahoma and Louisiana. Unlike other retail construction projects, c-stores incorporate specific floor plans, special equipment and unique fixtures to attract and satisfy customers on the go. Whether you’re building a small corner outlet, multiple branded properties or a chain of gas station operations, you want a commercial contractor who understands the business from refrigeration units to fuel pumps. Our expertise covers it all including optimal traffic flow design, on-site security systems and adherence to strict corporate guidelines. We earn our reputation as one of the best convenience store construction companies in the region by designing and building critical function and pleasing aesthetics into c-stores that generate revenue and deliver the ROI you expect. From the parking lot and outdoor signage to interior lighting, counters and bathroom fixtures, Stovall Construction handles your convenience store project from initial ground breaking to final permitting. Our talented teams create entryways and window designs that keep your visibility high and floor plans that ensure smooth foot traffic. If your older c-store needs remodeling, we excel at refreshing interiors and exteriors by maximizing space and utilizing existing infrastructure. We tackle floor-to-ceiling renovations with professional attention to detail, and we even take care of general repair work. Regardless of job size, we cover your project with a complete line of comprehensive commercial construction services. If you've spent any time on a construction site, you understand the critical importance of coordinating schedules, materials and subcontracting services. Over the years, we've developed a unique set of focused management strategies that keep your project on schedule and on budget. Do you have questions about location or building size? Our solid feasibility studies outline your best options. Are your spending forecasts on point? Our detailed accounting procedures give you a precise picture of all expenditures and accurate cost projections. From initial site prep and framing to zoning compliance and final occupancy permits, we ensure your speed to market with unprecedented quality control and complete management oversight. You want realistic overviews, open communication and honest reporting from your convenience store construction company, and we're committed to meeting and exceeding your expectations. When you have questions, we're ready with targeted answers. If you have concerns about an issue, we formalize contingency plans and solve problems without sacrificing cost or quality. We listen to your input, work with your ideas and always answer your first call. We leverage our position as leaders in convenience store construction to obtain the best materials and prices available, and we oversee all subcontracting work. As your trusted construction partner, you have our pledge to provide the highest levels of professional and personal customer service. You want the very best commercial contractor in the business for your c-store project. We've maintained our leadership role among regional convenience store construction companies by delivering solid management strategies, the finest building talent and the best materials and prices. Whether you're building from the ground up, remodeling or rebranding, you can always depend on us here at Stovall Construction. Contact our teams today, and let us be your partner in convenience store construction success. 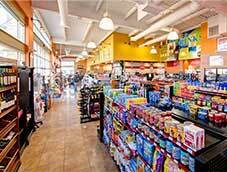 Stovall Construction is a one of the best convenience store construction companies in Texas. We serve our clients in Louisiana, Oklahoma, Texas and are also licensed and registered in 15 other states. C-Store Construction in Louisiana: New Orleans, Baton Rouge, Shreveport, Metairie, Lafayette, Lake Charles, Kenner, Bossier City, Monroe, Alexandria, and other areas across the state of Louisiana. C-Store Construction in Oklahoma: Oklahoma City, Tulsa, Norman, Broken Arrow, Lawton, Edmond, Moore, Midwest City, Enid, Stillwater, and other areas across the state of Oklahoma. C-Store Construction in Texas: Houston, San Antonio, Dallas, Austin, Fort Worth, El Paso, Arlington, Corpus Christi, Plano, Laredo, and other areas across the state of Texas.